If you’ve been following along, over the past few weeks I’ve been breaking down some of the problems that I have with things like evolution and natural selection. Today, I want to address a concept that has been gaining popularity in order to explain how new genetic information could be generated. For a long time, evolution and natural selection went hand-in-hand, but we didn’t really hear as much about the idea of random mutation. If you haven’t read last week’s post on natural selection, this will not make as much sense, so I recommend going back and reading through that first. In fact, I’d recommend starting with the first post in this series. As I pointed out, a problem with natural selection is that it actually removes genetic information rather than adding to it. In response to this concept, evolutions have speculated about another mechanism often referred to as random mutation. As with natural selection, random mutation is not a concept that is subject to debate. Its actual effects with respect to how much this can explain, however, is quite debatable indeed. First, let’s take a quick, simplified look at random mutation. Most organisms require two of that kind of organism to create offspring. When this happens, DNA information from both “parents” is combined to form a new DNA code for the offspring. Sometimes, when this happens, there is a problem creating the new DNA code. There can be “copy errors” where genetic information is not successfully transmitted and is “copied” incorrectly, forming a different code. Several different results happen when this occurs. Depending upon which part of the code was copied incorrectly, there may not be any visible result. In other words, there may be no discernible difference between the features and attributes of the offspring versus the features and attributes of the parents. The offspring might, for example, have the same number of fingers and toes, ears, eyes, skeletal structure, etc. The other options are that there is some noticeable different feature or attribute. Perhaps fewerfingers or the lack of a certain appendage, for example. Perhaps the offspring will be unusually tall. Maybe they are more resistant to certain types of viruses. Any number of things can be different. The thing to remember about random mutation is that it is exactly that…random. And when combined with natural selection, those organisms with beneficial mutations will survive and pass along their traits while those with detrimental mutations will not survive to pass along their traits. It is this process that evolutions often will say explains how we can have new DNA information for new features of various organisms and explain such things as how a creature such as a human being could have evolved from some simple, single-celled organism. This process however, while it may seem convincing, does not explain things as well as it may seem at first. The fact is, with these mutations being completely random, what we must realize is that in order to evolve from a single-celled organism into a complex creature, such as a human being, we have to realize that this process would take an extraordinary number of beneficialmutations. The odds of any one, single, beneficial, random mutation are astronomically low. The probability lies heavily in favor of the idea that any mutation will either be inconsequential or detrimental to the organism. Another point that is not often thought about (or mentioned at all) is the fact that if there is a change to one, single part of the DNA code, it could have a “ripple effect” that will result in literally hundredsof changes to the organism. Any of these other changes may also be beneficial, inconsequential or detrimental in and of themselves. Given the odds against any single mutation being beneficial, the introduction of multiple mutations only increasesthe odds that the change will have a negative effect. Some might say that it also increases the odds of a beneficial change, but these probabilities are not cumulative in that way, so that conclusion is not accurate. Given the probability of a beneficial mutation, and the amazing number of mutations which would have had to occur from the first life form to the range of species known throughout history, there simply has not been enough time passed to account for the variety of species and all of the various strengths, weaknesses, etc. Rather than the millions of years, as it has been speculated must have passed since the origin of life, it would have to be many, many billions of years in order to realize such a large number of beneficial mutations among various species to overcome the number of detrimental mutations which would have resulted in an organism falling victim to natural selection. The long and the short of it is, it random mutation and natural selection simply can not provide the appropriate explanatory power to make the idea of evolution from a single-celled organism to humankind in a matter of a few million years very plausible. 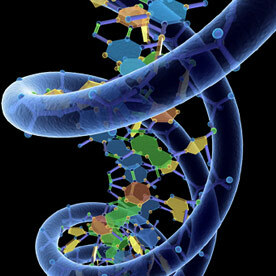 The fact is, evolution as it has been posited, would have to create new DNA information over time. Natural selection removes, rather than adds, information to the DNA pool and random mutation is too random to have resulted in the number of beneficial changes in the amount of time evolutionists claim has passed in order to account for the variety and complexity of creatures today. Hopefully, this has made some sense and cleared up some misconceptions about what evolution, natural selection and random mutation are and what they are not. Also, I hope that helps get a better understanding of the limitations of each.